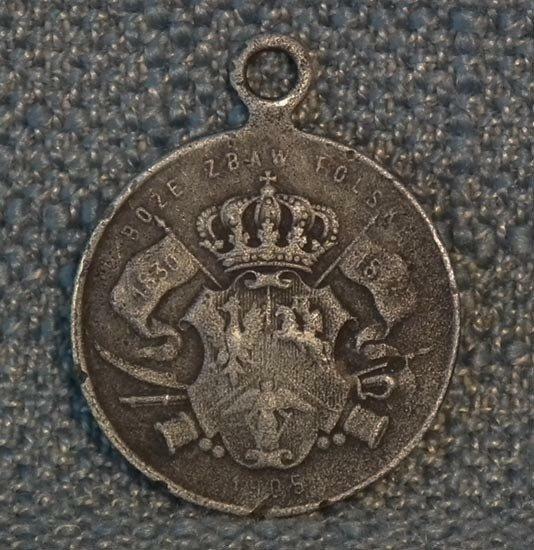 Authentic antique Polish- Lithuanian patriotic aluminum pendant with integral suspension loop, mint in 1905 to commemorative a Polish November Uprising (1830–31), also known as the Polish–Russian War 1830–31 and January Uprising 1863 – 1864. 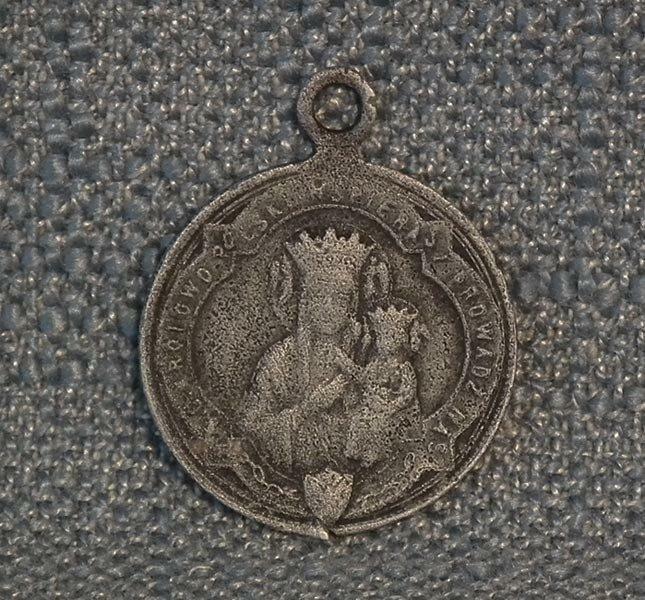 On the avers is the image of Our Lady of Czestochowa with the inscription around "M.B.C KROLOWO POLSKI WSPIERAJ I PROWADZ NAS" (Queen of Poland support and lead us) below a small shield with Polish Eagle flanked by chains. The Revers has the January Uprising's coat of arms of the proposed Polish-Lithuanian-Ruthenian Commonwealth. The emblem was designed and used by the Polish National Government in 1863 - 64, as a reminder that the Royal Polish Republic was a community of three nations, both in the glory and in the misery of the state. CONDITION: Signs of usage and wear, some nicks on the rim. Please notice that the pictures in the listing are a part of the description of the condition of the object.